Outhouse Portable Restrooms proudly offers new septic system installations, repairs, and pump-outs throughout the St. Augustine area. Outhouse Portable Restrooms is your septic tank solution throughout the St. Augustine area. We expertly service your property's septic tank systems, and always at affordable, competitive rates! Your home's septic system is one of the biggest investments you'll make. 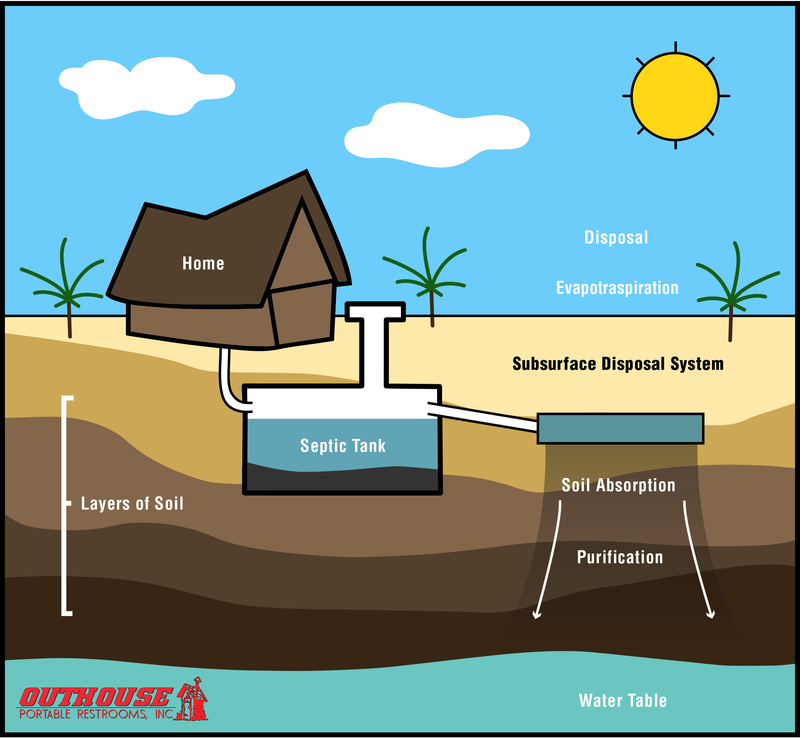 If you own a home or business with a septic system, you probably already know that routine maintenance and inspection of that system is absolutely necessary. Regular testing and inspections for leaks or cracks ensures that your septic system is breaking down waste effectively. In the long run, this will end up saving you a lot of money in repairs when something goes wrong! Save yourself from these costly repairs and ensure your tank is operating efficiently with an inspection from Outhouse Portable Restrooms today! When you entrust your septic services to Outhouse, you'll get a crack and leak-free system that can handle the harsh Florida climate. In the business since 1999, you can depend on Outhouse to provide professional, top-rated service. Our overly experienced staff has all the details needed for pumping and maintaining septic tanks. We will walk you through the use of each model and won’t leave until everything is setup and working properly. Call Outhouse Portable Restrooms today for more information about how we can install, service, or maintain your septic system, 904-829-1680.